Chris Bruner, head of US credit product at Tradeweb, explores the products that can help managers express portfolio views and how they can maximize the benefits they can reap by evaluating and understanding the price, risk and relative value of each trading option. Active investment managers are leveraging an expanding catalogue of products to take a view on credit risk – from custom baskets to indexes and exchange-traded funds (ETFs). These are playing a growing role in helping managers express portfolio views, and are increasingly valuable alpha generators and diversification plays. To make the most of these strategies, managers need to understand the dynamic relationship between credit portfolio valuations and the prices of individual underlying securities. Ideally, they need to evaluate the price, risk and relative value of each trading option in real time and throughout the trade process. To trade effectively, investment managers must assess relative prices both pre- and post-trade – a particular challenge in less liquid markets. In the high‑yield space, for example, very few prices are available in real time. In fact, only around 10% of outstanding bonds are sufficiently liquid to guarantee a reasonably reliable price. In addition, unlike in the rates space, there are no bootstrapping algorithms to inform the process – bonds are simply too variable. 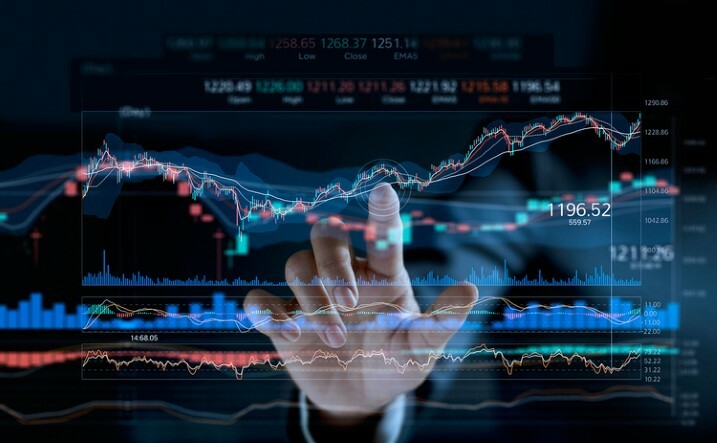 To be certain, some market participants have made efforts to help managers create customised baskets to serve their needs – ETF issuers, for example, have expanded their lists of accepted securities on basket trades. However, portfolio managers still need to work closely with their banks and the marketplace to complete trades and ensure tracking is as accurate as possible. That is also in the interest of issuers, which routinely use tools such as baskets to manage indexing. As growing numbers of managers seek to express portfolio views, some are taking the next step, looking to optimise exposures by getting as close as possible to real-time net asset value pricing. This in turn helps them identify the most promising and accurate ways to add or reduce exposure. As managers embrace alternative strategies, many are building internal frameworks to standardise protocols for live trading. To get there, they are leveraging a variety of pricing sources, including liquidity scores and electronic execution platforms. In addition, some are turning to tools such as Tradeweb’s Automated Intelligent Price (AI-Price). AI-Price assembles a broad range of pricing and liquidity indicators, from Trade Reporting and Compliance Engine-reported prices to credit default swap curves, swaps and data from retail platforms. It combines these with its internal domain expertise and machine learning applications to produce a single price estimate that updates every 30 seconds. That price is then road-tested on the Tradeweb platform. Armed with the most accurate possible prices, portfolio managers can more confidently run trade cost analysis and generate forensic views of portfolio and liquidity risk. This in turn informs which strategy to employ based on the situation. “More and more, we are seeing our customers leverage advanced pricing tools to guide their execution decisions at the security and basket level,” says Bruner. With advanced pricing, investment managers are becoming more confident in running basket and portfolio trades. The result is that a new generation of strategies is entering the mainstream, in turn creating a more liquid and dynamic credit marketplace.